Your resume is your personal branding and acts as a passport to your career, so it’s important to get it right. There are many rules, written and unwritten, when it comes to building a CV. We have compiled the dos and don’ts of resumes below – read on to become the master of your professional self-image. Your experience and overall resume should be tailored and targeted to the specific position you are applying for. After all, you must demonstrate you are the right person for the job. 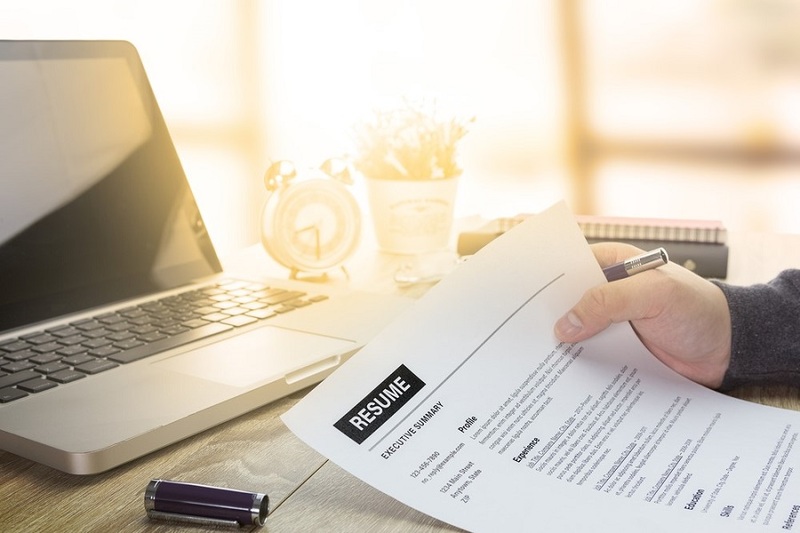 You can mention other experience and skills that aren’t related to the job; however, the bulk of your resume should be targeted to the current application. This way, the hiring manager will be able to see if you’re the right candidate in a quick glance. Although your words must convey that you fit the job description, it’s best to reword their description to make it feel more original. That way it shows that you can think for yourself, are not lazy or dishonest, and don’t plagiarise. Take the initiative and paraphrase the job description. Volunteer work is a great way of increasing your skill set and networking potential so it is valuable to put it on your resume. Along with this, any side projects, internships, and temporary gigs should be included. They are all great ways of boosting your resume and displaying other skills, showing that you are willing to do whatever it takes to get into your preferred industry as an active member of your community. This seems like a no–brainer but many people actually fill their resumes with information such as their age, marital status and social security details. This is an instant turnoff to an employer who simply doesn’t need to know these things. These details only serve to discriminate against you so if you wouldn’t want something published about you online or in a newspaper, take it out! Personal accomplishments that highlight your soft skills or technical skills should be included. For instance, if you’ve run marathons or have a pilot’s license, this demonstrates your adventurous spirit and dedication. Employers like these qualities as they reveal a lot about you personally and professionally. Perhaps you are a regular chess player or poker player – extracurricular activities demonstrate abilities like quick thinking and logic. Some people will list obvious skills, such as knowing how to use computer and the internet. Everyone assumes you would have these skills in our modern era and they act as filler on a page, taking away from important and useful information like your work accomplishments. Only highlight skills and accomplishments that make you stand out. In this day and age, when companies are often receiving hundreds of resumes, make sure your resume is easy to read – to achieve this, have a clean, usable template with as minimal length as possible. If you are adding colour, don’t overdo it as it can be distracting. It’s best to stick to a font size 11 to 12 for legibility. Headings should be bolded to highlight sections and ensure you have adequate spacing so information isn’t too clumped together. Although eccentricity can make your life colourful, it’s best to not include it on your resume. There are instances where people have added glitter, sprayed perfume, and included photos of themselves and their pets on their resume. In Australia, this comes across as not being professional. In some cases, there are hiring companies that require a photo of you, like airline companies; however, these photos would still need to be professional and you definitely wouldn’t include your pet. Follow the above tips for a stand-out resume. Don’t hesitate to search for further career advice from the experts at NotedCareers – we’re here to help you navigate the complicated world of work. Contact us online today for an appointment or call 1800 326 422. Our experienced consultants are partnering with each professional to construct the most suited one-on-one career program to achieve desired career objectives.